Bayern Munich will be looking to complete the "Italian Job" at the second attempt when they welcome Juventus to the Allianz Arena in Wednesday’s Champions League last-16 clash. 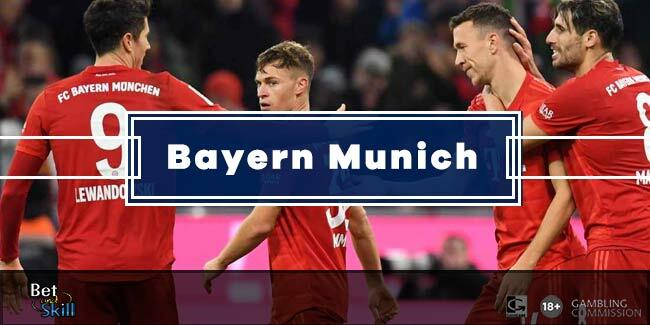 This article contains our BAYERN MUNICH v JUVENTUS betting preview with free tips and predictions, probable lineups, enhanced odds, betting promotions & no deposit bonuses on the Champions League! Bayern Munich returned to form in the league with a 5-0 victory over Werder Bremen at the weekend, with Thomas Muller and Thiago Alcantara both scoring braces. The German giants have won all but one of their 17 home competitive games this season. They are currently enjoying their best ever run in this competition on home turf with nine consecutive wins, a run in which they have having 36 goals and conceded just four. Arjen Robben missed last weekend's match with a cold and is a doubt. The Dutchman should be replaced by Franck Ribery. Joshua Kimmich expected to partner Mehdi Benatia at the heart of the defence. Defender Javi Martinez could return to action after recovering from a knee injury but Jerome Boateng and Holger Badstuber are both sidelined. In the first leg, Juventus showed their ability to overturn a 2-0 deficit with goals from Paulo Dybala and Stefano Sturaro and how to break Bayern's defense. Domestically, a fifth consecutive Serie A title is on the horizon following a 1-0 victory over Sassuolo on Friday night - a result that moved them three points clear of second-placed Napoli with nine matches left to play. The Bianconeri have not conceded a single goal in Serie A in the last 10 matches. Manager Max Allegri should deploy a 4-3-3 formation with Cuadrado, Morata and Mandzukic up front. Hernanes, Paul Pogba and Sami Khedira will start in the middle of the park while centre-back Giorgio Chiellini, playmaker Claudio Marchisio and in-form striker Paulo Dybala all miss out. Martin Caceres is still sidelined with an Achilles injury. Alex Sandro had missed the first leg with a muscle injury but he will be at Allegri’s disposal this time. BAYERN MUNICH (4-1-4-1): Neuer; Lahm, Kimmich, Benatia, Alaba; Vidal; D. Costa, Mueller, T. Alcantara, Ribery, Lewandowski. Crazy price! 20/1 Juventus to win the match! "Bayern v Juventus 2nd leg betting tips, predictions, lineups and free bets (Champions League - 16.3.2016)"